You are looking at the nearly completed Freedom Tower. This picture was taken by my father when we went to Governors Island with my friend, David, and my Mom. This was taken on the way back. 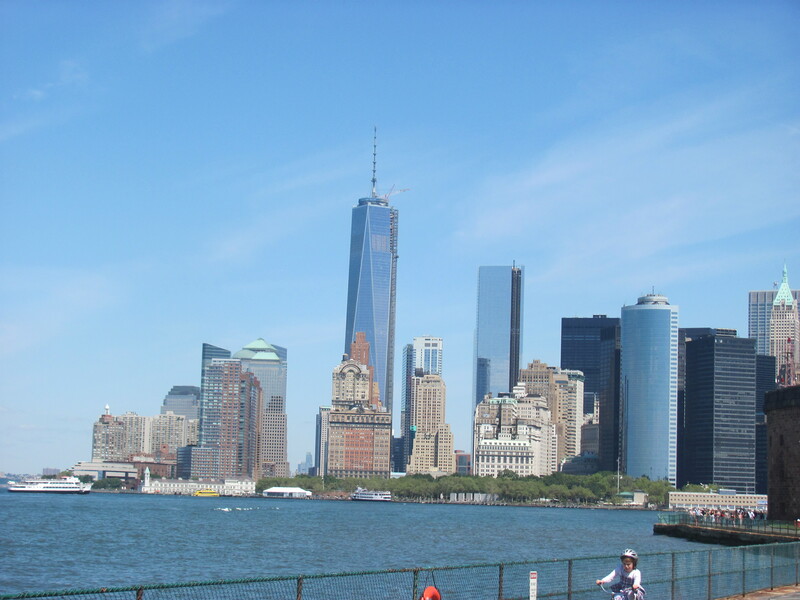 The Freedom Tower is there to show that we as Americans are still standing tall and strong even after the attacks that took place on September 11, 2001. Even if we did not have such a building, we should always remember that we have pride and patriotic spirit. Even if we did not have this building, we would still be together as a Nation. We did not have a building for such a long time, and yet, we were still hopeful. We had a hole. We were still hopeful. I remember the day when I was at Grandma G’s house reading about the Freedom Tower and how we did not have to call the hole Ground Zero anymore. A lot can happen in only a few short years. This is a triumphant moment for us. This is a triumphant moment for hope.